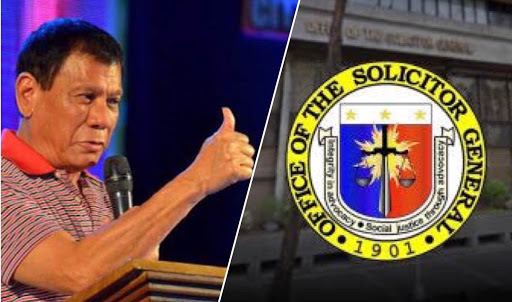 Home / News / Duterte commends OSG, urges to continue upholding rule of law: "Join me as we pursue this task in the next four years"
Duterte commends OSG, urges to continue upholding rule of law: "Join me as we pursue this task in the next four years"
President Rodrigo Roa Duterte commended the Office of the Solicitor General (OSG) for their unwavering commitment for over a century on their 117th anniversary celebration last July 3, 2018, Tuesday. 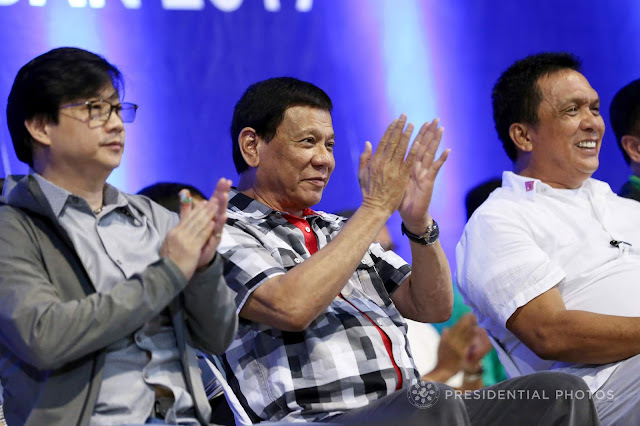 “This is a celebration not only of your accomplishments as the government’s primary legal defender but also of your unwavering commitment to uphold the rule of law and protect our people’s interest,” the President said in his speech. He emphasized that all the hard work and dedication of the lawyers, staff and personnel in achieving their order to represent and protect the government and its instrumentalities in every legal procedures has been witnessed by the history for more than a century. Duterte also added that the OSG team has proven their remarkable expertise and skills in handling landmark cases before the courts. One of these is the government’s victory in the martial law cases which was attributed to the OSG team’s successful defense over the validity of the declaration of martial law to suppress the uprising in Marawi. The president also highlighted that the complete liberation of Marawi from the grasp of dread and terror and the area being able to attain a safe environment for its recovery were all due to OSG’s efforts. “This victory validates this administration’s commitment to completely rid our society of the dr*g menace by going after big time syndicates and their powerful protectors,” the President said. Before ending his speech, President Duterte encouraged the OSG personnel to never stop in their commitment to contribute to nation-building, to continue to be the standards of honest public service, and to work with merit in upholding the rule of law in the country. “Join me as we pursue this task in the next four years,” Duterte said.